The HTC One M9 hasn't even been out long enough to lose its new gadget smell, but owners can already get unfettered access to hack away to their heart's content. The new release of Sunshine doesn't automate quite as much of the process for acquiring S-OFF on the One M9 as it does for most other handsets. Customers will have to first visit HTCDev to unlock their bootloader, then root the device by booting a custom recovery and flashing Chainfire's SuperSU. For now, Sunshine works on all models of the One M9 except for Verizon's variant, but that is in the works. RootJunkie has recorded a video to demonstrate Sunshine acquiring S-OFF on the One M9. Sunshine is also sweetening the deal for customers with a great new perk – it can SIM Unlock most of the GSM-based phones from HTC. This will allow a phone that was once tied to a single carrier (e.g. AT&T) to be used with almost any other carrier, as long as the cellular bands are compatible and an activated SIM card is installed. SIM Unlock will work with most handsets, however it is not yet available for the HTC One M9 or any phones from Sprint. At this time, SIM unlocking is still considered "experimental," so customers are encouraged to report any abnormal behavior. Justin Case let us know that this feature is under active development and support should expand in the future. 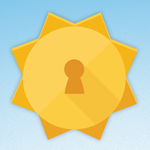 At this time, Sunshine could not be updated to include a SIM Unlock tool for previous customers. For now, Justin Case recommended this tool, which requires phones to be S-OFF, but it is free and should be able to SIM unlock most of the same models. A separate tool may become available in the future, but no specific plans have been made public. If you're ready to start modding your new HTC One M9, or any of the other supported phones (here is a list of confirmed models), simply visit theroot.ninja and pick up the latest Sunshine installer to get started. The tool will run a series of tests to ensure compatibility, and it will give instructions if any additional steps have to be taken. Each device costs $25 to unlock and/or S-OFF. Of course, thanks to the new SIM Unlock feature, many customers can save between $10 and $25 they might also spend on a separate (sometimes unreliable) unlocking service. Additional details are available at the Sunshine FAQ, and there's an ongoing support thread at XDA.